I deployed the hose, watered it for a few minutes, and we left it to consider its options. Groundhogs are pretty much waterproof, but we hoped the wetdown would be sufficiently unpleasant to mark the garden as “Here be dragons” in its mental map. After an hour, it had vanished. 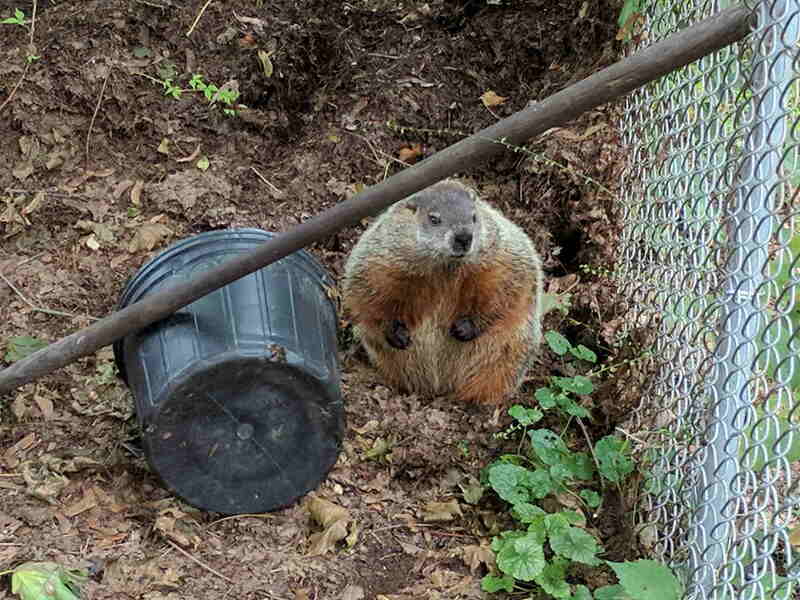 We know from past experience that groundhogs can climb up-and-over the chain link fence surrounding the compost bin (it was a dog pen for the previous owners), although it knocked down the aluminum sheet and may have exited through the garden. It looks well-fed and ready for winter. 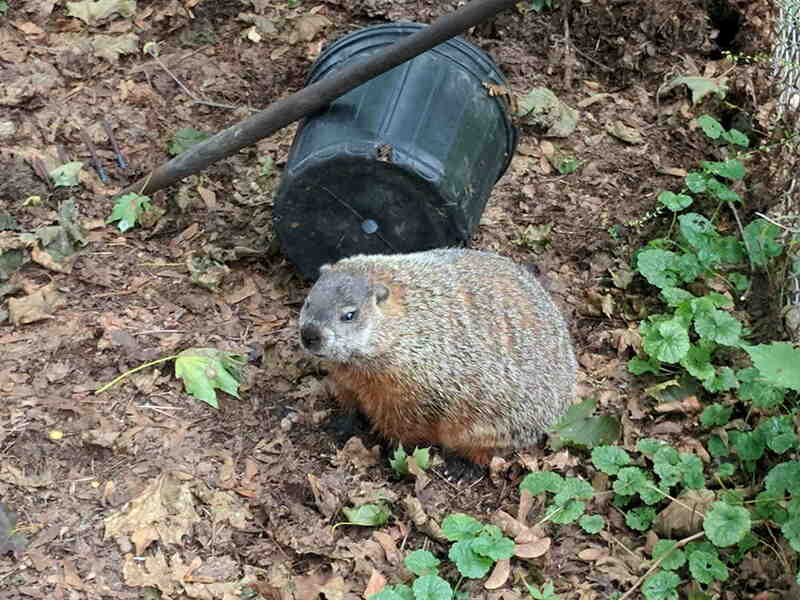 Searching for groundhog will reveal previous encounters with its ancestors & relatives.